2018 promises to be an exciting year in sport for France, with lots of unmissable events for sports fans to look forward to! From motor racing to golf, cycling to surfing there are competitions galore, and what better way to enjoy watching your favourite sport than on holiday in beautiful France? The 2018 Tour de France route starts in the Vendee and heads north around the Brittany coast before skirting across northern France. The riders will then be transported to the first mountain stages in the Alps and then the route winds across through Valence, Mende, Millau and Carcassonne before taking to the Pyrenees mountains for dramatic stages that include a visit to the pilgrimage centre of Lourdes. The race will finish, as usual with the grand finale down the Champs-Élysées in Paris. The route is a great one for spectating, passing through lots of favourite holiday spots – book a property near the route and see the incredible spectacle of the peloton passing by! The 2018 Ryder Cup heads to Paris as Le Golf National hosts the 42nd edition of the world’s greatest match play event from 25-30 September 2018. 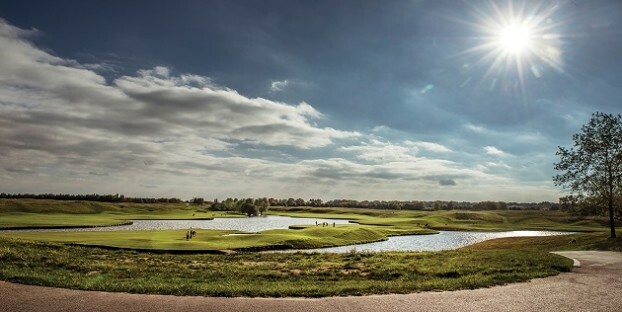 Situated around 20 miles south west of Paris, the spectacular course is one of the best in the world for spectators and is consistently ranked in Europe’s top 10 courses. If you are lucky enough to get tickets it promises to be a fantastic event and a wonderful focal point for a holiday playing some golf yourself at one of the many fantastic golf courses France has to offer. The famous endurance race at Le Mans has been running since 1923 and is a fantastic event for motorsports enthusiasts. The route includes permanent race track and stretches of public roads that are closed for the event. This means there are plenty of opportunities for spectating and soaking up the atmosphere during the race. You could also choose to see the Le Mans Classic in July for a vintage take on this iconic race. The surf championships at Lacanau are well worth a look even if surfing isn’t your thing – watching the tricks out on the waves as the pro surfers compete is breathtaking, and the gorgeous beach location certainly doesn’t hurt either! The event takes over the town with a party atmosphere and lots to see and do both on and off the beach. Stay nearby and get involved with the fun, and maybe try a surf lesson or two for yourself! An important date in the sailing calendar, Round 3 of the World Cup Series at Hyeres sees the very best international competitors appearing in a huge number of events spanning a 10 day regatta. The exciting schedule includes races for various classes of boat and dingy, windsurfers, kite surfers and catamarans so if you’re a sailing fan this is an event that’s not to be missed! Book a self-catering holiday rental near your sporting event of choice to make sure you’re close to all the action. Be inspired and plan active holidays in France with water sports, cycling, golf or perhaps even book a place to run in one of the iconic French marathons that take place annually; choose Bordeaux, Mont St Michel or Paris and enjoy the view as you run! With 20% off your Brittany Ferries crossings when you book with us it’s easy to bring all your sporting equipment in your car with you so you won’t miss your lucky golf clubs or your favourite bike on your trip.